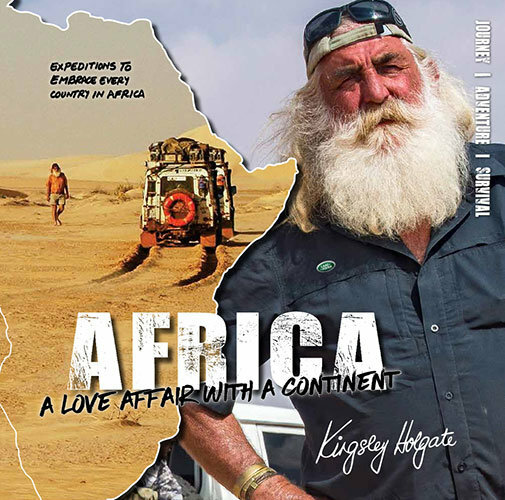 KINGSLEY HOLGATE the well-known humanitarian adventurer, TV personality, Land Rover Ambassador, Fellow of the Royal Geographical Society, renowned speaker and a legend known as ‘the most travelled man in Africa’ has launched his new book Africa – a Love Affair with a Continent. Holgate is the author of four previous best-selling books on travel and adventure: ‘Cape to Cairo’, ‘Capricorn – following the invisible line’, Africa – in the footsteps of the Great Explorers’ and ‘Afrika – Despatches from the Outside Edge’. This widely-anticipated 5th book, Africa – a Love Affair with a Continent has been five years in the making and spans 30 years of adventure and exploration in every country in Africa, including all of her island states. Armed with a Zulu calabash and Scrolls of peace and goodwill, by Land Rover, inflatable boat, Swahili dhow and on foot, Kingsley and his adventurous team have traversed the continent on world-first expeditions, touching over a million lives through their humanitarian and conservation efforts. Packed with stories taken from Kingsley’s pile of dog-eared expedition journals and laced with his legendary humour, each chapter is a stand-alone chronicle of a life of adventure; the excitement, escapades and characters met along the way, with beautifully detailed descriptions of Africa’s wildlife, wild places and fascinating tribes – and the downright scary moments when things go wrong, from a croc chomping the inflatable boat and attack by pirates, to child soldiers high on cocaine. With dramatic, full-colour images taken on each expedition, it’s a must-have for all adventurous souls and is arguably the most comprehensive African adventure book ever written. 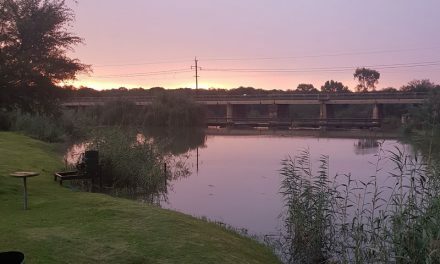 Africa – a Love Affair with a Continent was launched in Cape Town on Madiba Day, 18 July 2018 as part of Kingsley’s next world-first Land Rover expedition (Cape Town to Kathmandu) and will be available by direct order from the Kingsley Holgate Foundation in August. ‘Life has lots of simple pleasures — the warm sun on your back or a cool sea breeze in your hair – or the fact that there are still larger-than-life characters around such as Kingsley Holgate. To call him an explorer or humanitarian doesn’t do true justice to the man. Kingsley is an absolute force of nature; he brings exuberance, energy, enthusiasm and undiluted vivacity to everything he does.